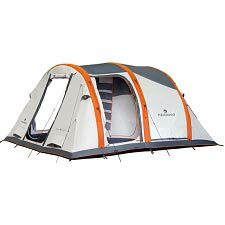 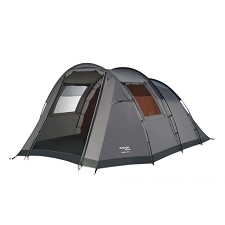 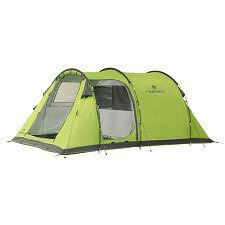 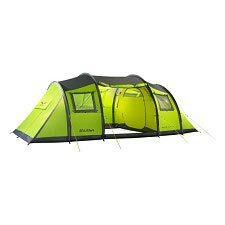 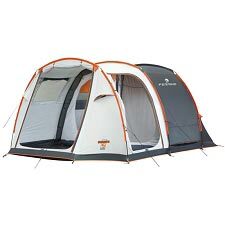 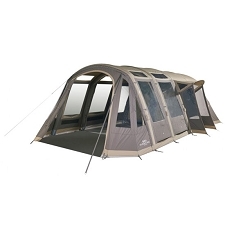 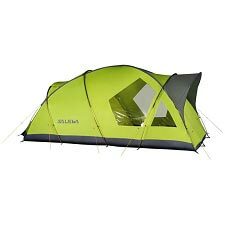 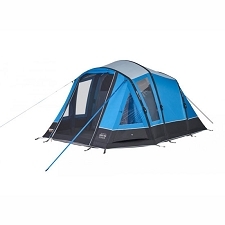 A spacious, three season camping tent that has an extravagant design fused with maximum function. 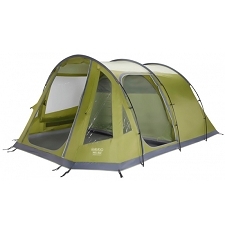 Fits up to 6 people and offers an excellent interior climate. 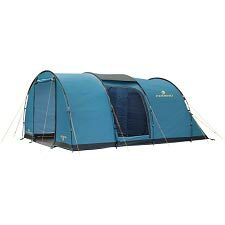 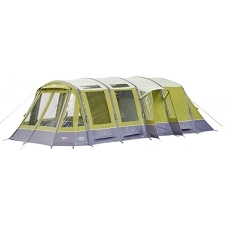 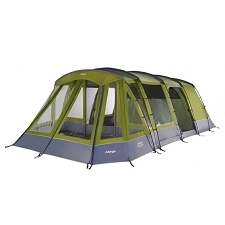 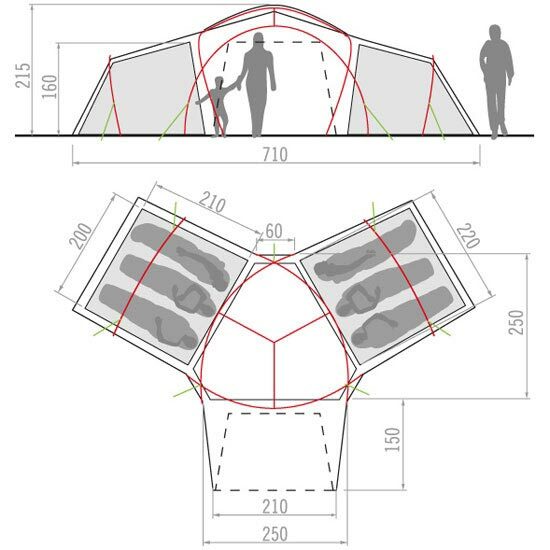 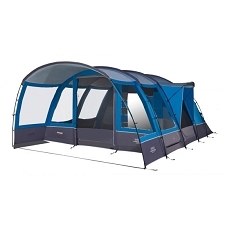 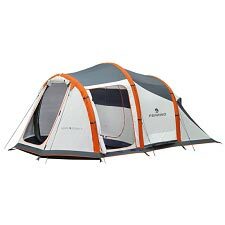 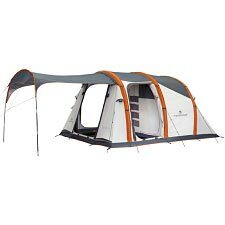 Complete with Top−Vent−System and side mesh windows, extra pockets on the tent doors and an extra tent footprint for the vestibule. 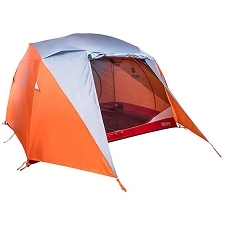 Color coded poles and pole sleeves simplify the pitch. 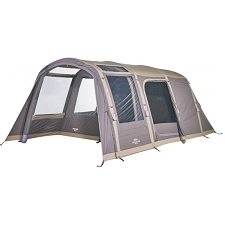 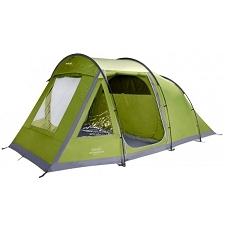 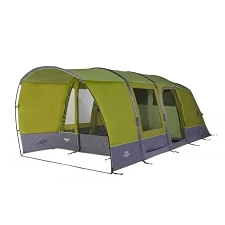 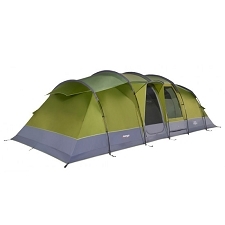 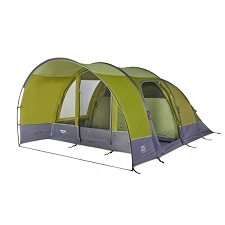 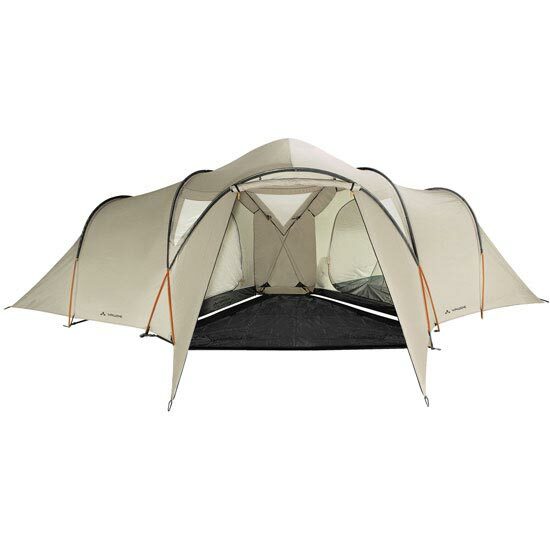 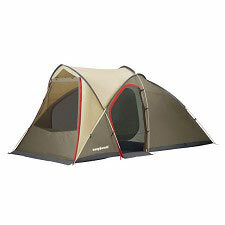 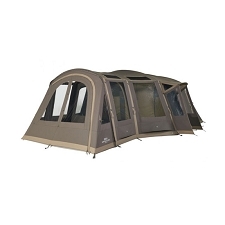 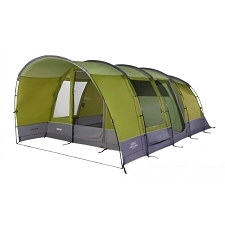 The outer pole construction lets you pitch the inner and outer tents comfortably in one step. 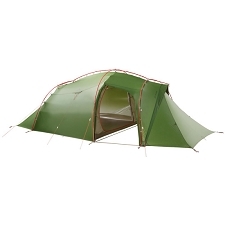 Customer Opinions "Badawi Long 6P"